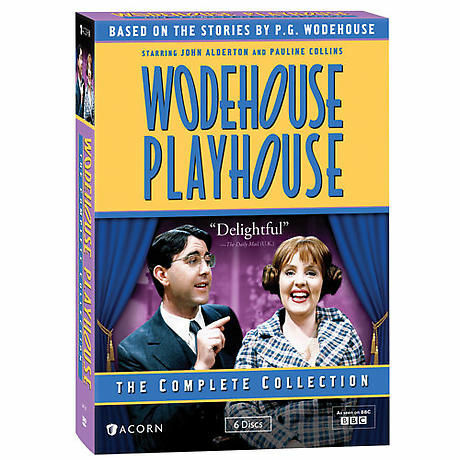 Along with creating the characters Jeeves and Wooster, P.G. Wodehouse wrote hilarious short stories. Oscar® nominee Pauline Collins (Shirley Valentine) and real-life husband John Alderton (Upstairs, Downstairs) star in BBC adaptations of 20 tales about uproarious upper-crust eccentrics. First broadcast in the mid-1970s, they still sparkle with wit and drollery. Wodehouse himself introduces the fi rst seven. 10 hrs, 6 DVDs, SDH.